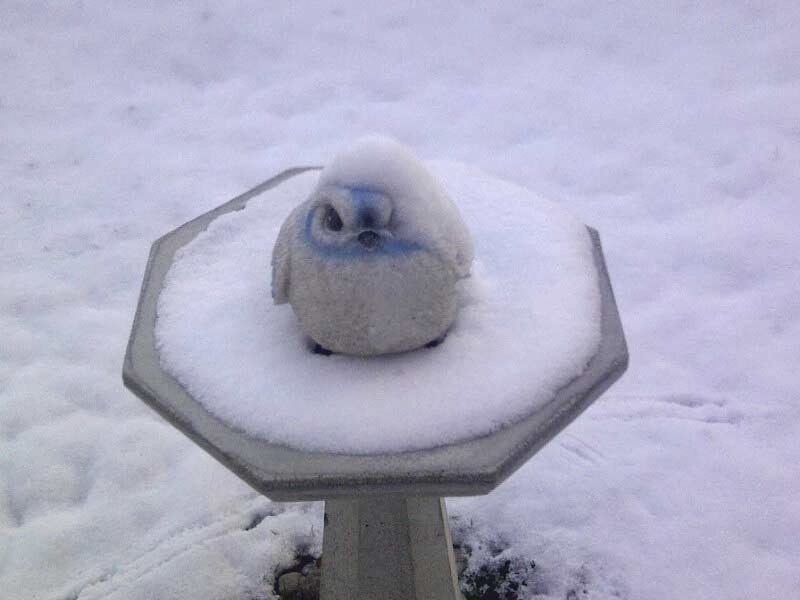 An alien snowbird landed the other night during our first and probably last snow of the season. After a few hours I began to realize (assume) it posed no true threat and meant no harm to us or our neighbors. I thought perhaps I would get some type of response or just the slightest bit of movement if I gave it something to play with. 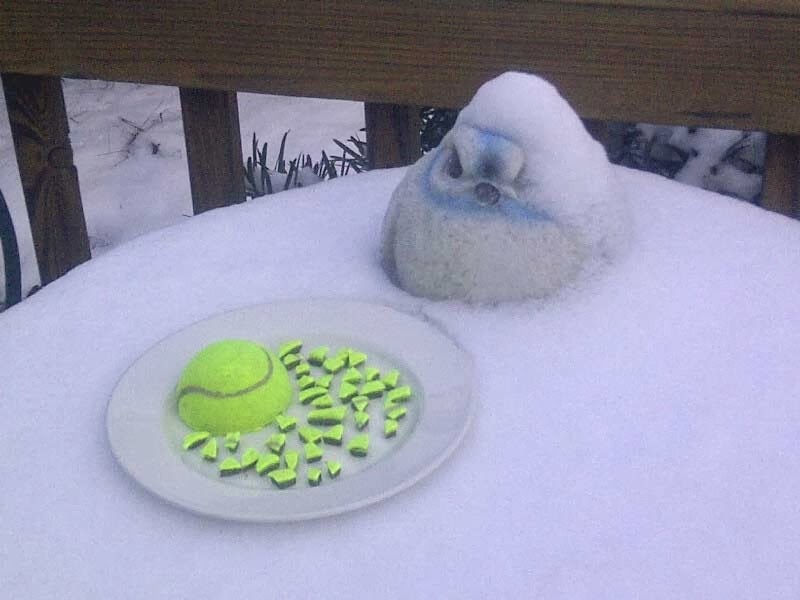 "A tennis ball should do the trick", I thought. I was wrong, not a flutter or even a blink. It was as if this uninvited, but now somewhat welcome guest was staring at the tennis ball as if it was going to do something on its own. Or, perhaps it was staring at me as if I was a total idiot. 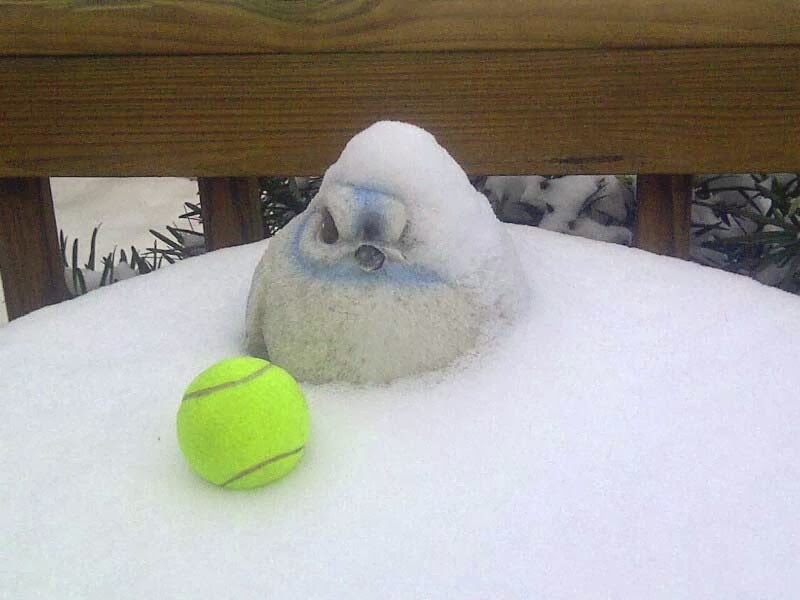 Well, I really don't know how to play fetch with alien snowbirds in good weather conditions, much less in a few inches of snow. "Okay, it must have to eat and just maybe, if it doesn't want to play with the tennis ball, it is just wanting to get a taste of it." Again, nothing. Did it want some sauce to go with it or did this fat little alien know how to use eating utensils and was waiting on me to bring out the silverware? I know nothing of the dining habits of alien snowbirds either. I was growing selfishly irritated - this adventure was nothing similar to what I had I imagined. I thought, by moving her (I felt the need to assign it gender) to the bird bath, perhaps some crows or a hawk would want to come play with her, or carry her off. Aha! Ha! Wait a second. This story does have a happy ending. I truly felt evil for moving her to the bird bath and what I hoped may happen should a band of rogue crows or a hungry hawk take notice of her. I was about to write off this close encounter of some kind, but the kinder, more humane part of me, took charge. 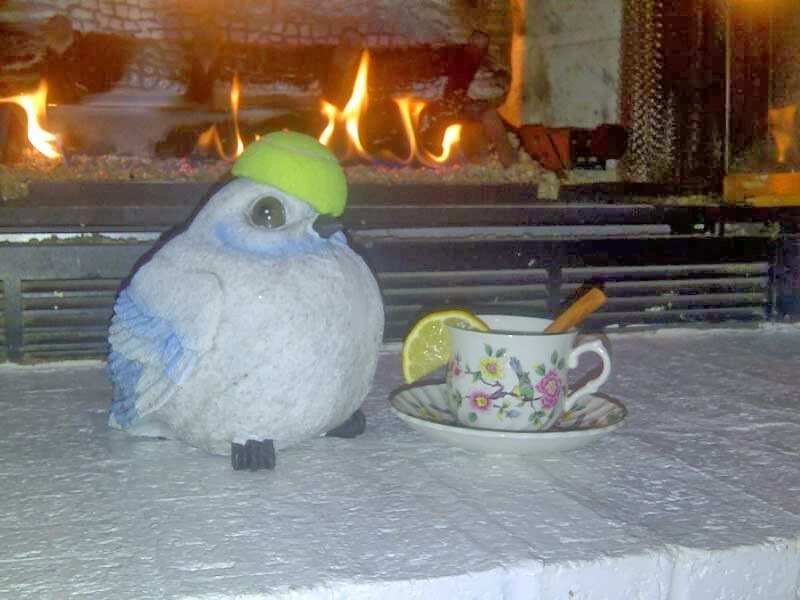 So I brought her inside, placed her on the hearth for her to warm her ceramic-like feathers and dry her runny beak. This must have been comforting to her as she began to show a little more life, some spirit. Being quite the optimist (minus the deceptive crows or hawk ploy), I probably imagined this, as nothing truly noticeable occurred until she had a few (several) hot toddies. She then gorged on the half of the tennis ball I had cut for her and kept placing the remainder on her head, flinging it off and then letting out the craziest little chirp I've ever heard. It was part alien, part bird and this odd grunting sound as she flung a wing from back to fore. Had she actually watched a pro tennis match somehow, from so far away, somewhere in this big universe of ours? This was much more than we ever expected and she seemed to enjoy our laughter as we egged her on over and over again to fling that half tennis ball from her head. 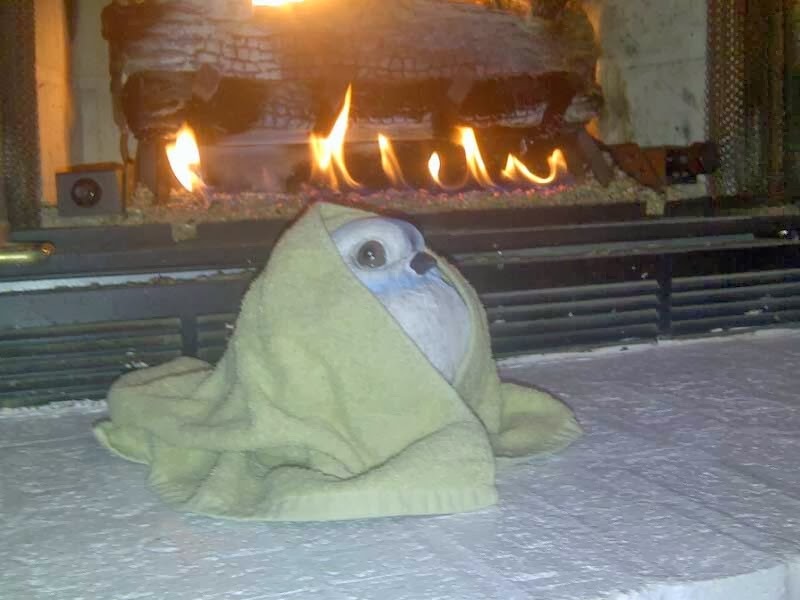 Well, we all enjoyed our time together with her, the fire, the toddies and the sounds which filled the living room as she let loose as if she had found a new home, a new family, a place she could be herself. Unfortunately for us, we soon realized she needed to leave, to return from where she came or to go onward to other parts unknown. So we took her back to the porch (not the bird bath) where she had landed not so long ago - well protected. 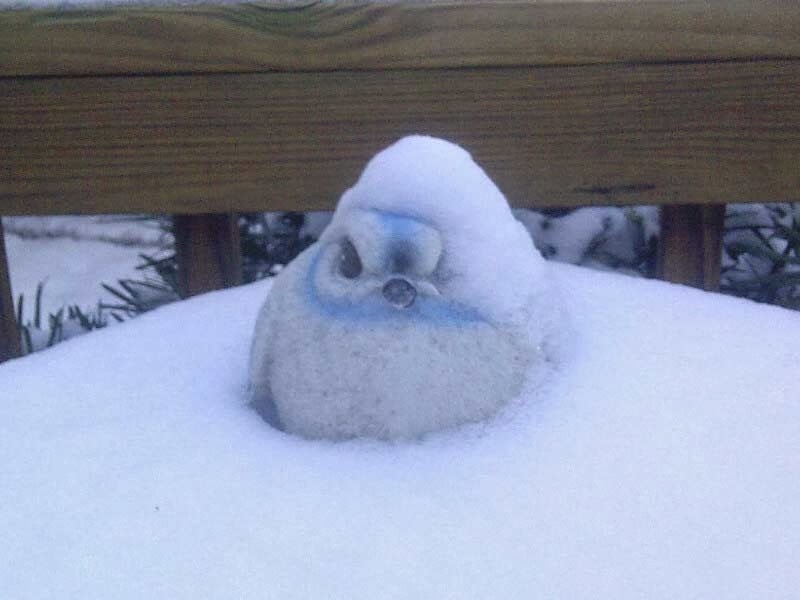 We all felt the potential loss of our new alien snowbird friend as we rested by the fireplace, never to see her again. When we returned to the porch, she was gone, but perhaps we would see her again. There was a message scratched in the snow near where we last saw her. "Thanks. I had an oddly good time. 'Play the Game! '", it read.